Well the budget is out and the Budget Geeks get to trawl through it and figure out what it means. 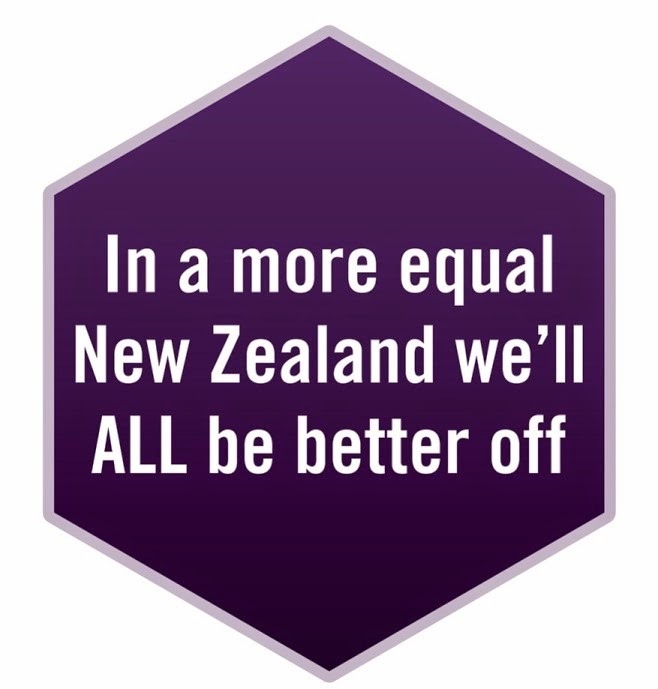 For NZCCSS, its about what it means for those who have the least, and the services who work alongside. Government says it is about generating a surplus, reducing government / private sector debt, and improving competitiveness. Nothing about improving the lives of people who are poor, but you never know, so here goes. Large hunks of the Budget (including welfare reform, student loans, health, disability, victims of crime and reoffending reduction) were announced Pre-Budget. There are all sorts of details about them in our last issue of Policy Watch here. Minister English said things are looking good in 2014/15 – growth of more than 3%, and unemployment expected to drop below 5% by 2015. This is based on rebuilding Christchurch; Australia and China (our biggest trading partners) doing reasonably well economically; and high demand for our major exports (25% of which is dairying). Details of Treasury forecasts can be found here. First, the forecasts – too optimistic say some. In Reuters poetic prose “the shadows over the global economy darkened on Thursday as the Euro zone's private sector contracted, U.S. manufacturing growth slowed and China's once-booming factories faltered.” In fact “China [is] mired in its longest economic slump since the global financial crisis.” Doesn't sound goood. Good thing Australia is doing ok. It does have a mining boom and is soaking up all those Kiwis who have found jobs over there. But the OECD has lowered its forecast for growth in Australia in 2012 to 3.1/4% from 4.0%. So it looks like demand for our exports could fall. Fonterra is already talking about reduced dairy prices and a drop in revenue for the NZ economy of $500 million. A lot is hanging on the rebuild of Canterbury, despite insurance and timing uncertainties. Residential housing investment in Canterbury is forecast to rise by 29 percent in the 2013 March year, and a further 41 per cent the following year. For those with low incomes there’s a few biggies. Prescription items increase from $3 to $5 per item up to a maximum of 20 items per family per year, after which they are free. If we can’t afford the prescription, help is supposed to be available from Work and Income, but it is hard to see how that is going to happen, given Work and Income’s trend in tightening up on hardship grants. When we’re feeling sick, the last thing we want to do is fill in forms and wait in a queue. Then there are the power price rises. Students, Grey Power, Labour, the Greens and other members of an unusual alliance all expect power prices to increase if energy companies are partially privatised. At the moment, we all own the power companies. Partial privatisation means a lot of us are no longer owners; instead investors get new investment opportunities; the rest of us don’t get a look in. Next biggie is the price of cigarettes which will be over $20 per pack by 2016. Health issues aside, we do wonder if any of the decision-makers have any insight of the effect of this on people who would rather go without food or power than smokes. After all, humans use substances to soothe themselves; it’s just a case of which substance - lattes, smokes, beers, bourbons or something more home made. The regulatory impact statement specifically excludes any analysis of the impact on the “economic welfare of smokers and their families”. People can get help for tobacco addictions. Help for gambling addictions is looking a bit more dubious this budget. Funding for problem gambling services is being reduced by around 15% from around $19.8 million to around $16.9 million. To pay for everything, we need jobs. Government is committed to encouraging businesses to invest, grow and employ. The government’s approach seems to be about cheaper labour, and it has a few strategies to do this. First, there is the old standby of reducing union power e.g reverting back to a previous version of the Employment Relations Act where the ‘duty of good faith’ does not require employers and employees to conclude a collective agreement, and employers being able to opt out of multi-employer bargaining. This legislation is expected later in the year. Wages are likely to fall (despite the Living Wage campaign) simply because the expected industrial relations legislation changes mean employers can just refuse to bargain – i.e. it’s take it or leave it. Employers aren’t so keen on this when jobs are plentiful. However, right now, the balance is mainly on the employers’ side. Then there is strategy number two. The whole welfare package relies on there being jobs around. More beneficiaries being work tested (see last Policy Watch). Unemployment is 6.7% and a whole bunch of beneficiaries now have to take any reasonable job offer. Result - if we don't take that low paid job, someone else will. Then, the money the children bring in has just got taxed. People looking for jobs cleaning houses or looking after children may not get them as readily since the tax credit for people employing housekeepers and childcare assistance has been abolished. Some of the recipients of this credit have family members with disabilities. It also assists some lone parents. The tax credit for the 49,000 people eligible for the “income under $9,880 tax credit” has also gone. Think participating in the black economy is a good idea? Well government already thought there could be more of us doing that, so IRD is getting $78.4 million over four years “to bolster its audit and compliance activities – tackling the so-called black economy, strengthening debt collection and chasing down unpaid taxes. However, existing local childcare centre is quite likely to be putting up its fees, as there is effectively a freeze on the 20 hour subsidy rates for early childhood education. The separate support for early education providers in providing early childhood education in communities where there are low levels of participation in early childhood education increases from $12 million to $22.6 million next financial year. There is a small increase in special needs education funding , but another reduction in community education dollars. There is also a 35% increase in funding for military focused programmes for disengaged or disengaging senior secondary school students. Primary education does get more money, but the class sizes are likely to have increased (see last Policy Watch). However, if your child with a disability isn’t doing so well out of the changes, complaining could be trickier as provision of services to monitor and protect health consumer interest by the Health and Disability Commissioner and other related reviewing bodies has been cut by $1 million. You catch the train from the home to the job. Things are looking quite good on that front because more money is going to go into Kiwirail. The money is coming from a Future Investment Fund (consisting of partial privatisation of planes (Air New Zealand) and the Energy SOEs. The really weird thing about this one, is KiwiRail needs the money because it became so badly run down as a result of it being sold off as an asset last time we had these 'selling off things' policies. Never mind, we can always drive. For some reason Government is forecasting the price of oil to drop to “US$94.4 a barrel by the June quarter of 2016 from more than US$100 a barrel in the first quarter of this year.” The low price of oil makes it rational to spend more on roads - $12 billion is going on improving state highways in the next 10 years, more than $500 million on improving and maintaining local roads. Earlier we looked at exports. One of our exports is our young people. This could rise as things get tougher for our new graduates here. Mr English calls it the zero budget. It is zero, but zero plus a little bit. Future budgets really will be zero with the changes in the Public Finance Act 1989 which restricts government expenditure changes to population growth and the CPI. This not only means no new initiatives, it also means no extra money for any other benefits other than unemployment. "Investing in Services for Outcomes"
- "Government will detail its vision for the social services funded by MSD including what it wants to fund, the groups those services should be targeted at and where they will be located." assist providers to join up in communities to achieve better outcomes for their clients, families and their communities." - There will be "simplified , streamlined contracting services." - An additional $13 million over the next two years in social services in Canterbury. "Support for Community social services"
Likewise, we're not sure what this will mean either. The Government has invested $12.144 million in 321 "initiatives funded through the final round of the Community Response Fund. Funding for the Community Response Fund was initially for two years and was extended one further year to help community organisations cope with demand and cost pressures as the economy recovered." Government will now work "with the community social services sector to develop a sustainable strategy to ensure families that need support receive it from high quality social services that achieve real results that make a difference to people’s lives." Currently the asset testing for aged care rest homes has increased the threshold for assets by $10,000 per year that older people can keep before the Government aged care subsidy applies. From 1 July 2012 this will change and now there will be an annual inflation adjustment instead. Opposition MPs accused the Government of sneaking in the changes which would make rest homes and other aged care facilities more expensive, more quickly for more people. The changed asset testing threshold will apply from 1 July 2012. Looking at this more closely, we learn that increasing the asset threshold saves the Government $41.7million over four years. So, in effect, these savings are being applied to the $40 million in additional funding for dementia care. That is $10million per year, $7.5 million for increased residential dementia bed day price, $2.5 million for developing and strengthening dementia care pathways. There is additional expenditure on support services for older people of $12m over the next 4 years, which will be for better services for older people living at home to reduce acute admissions, including rapid response and discharge management teams. Home support services are receiving an additional $40 million over four years which at $10 million per year we assume is funding to DHBs to cover increased costs and demographic increase in demand for home support for older people. But, as service providers are already finding out from DHBs, the is no requirement that DHBs pass on this additional funding in contract pricing. It is quite difficult working exactly where many of the changes are in this budget. We sift through documents to try and work out what is meant. What will the Better Public Services Advisory Group recommendations about changes to various Acts relating to the public sector look like when implemented? We’ve been told to expect “government agencies working far more closely together, and in a fundamentally different way, including organising themselves more around results, sharing functions and services, purchasing goods and services, and developing joint systems; more contestability in service provision and use of alternative providers; greater use of technology etc." It will be good if young children with poor access to early childhood education have better access. It will also be better if their access to WellChild services is improved. It is sad public broadcasting services are getting $10 m less. We worry about people on benefits and how the new approaches to welfare are going to work out. Jobs look like the key to so many things, and we are not too sure where they are all going to come from. Homeless people are disengaged. They are living under their own steam. They get sick and end up in hospital. Please try and keep homeless families engaged as they are often frightened of government agencies.